Read-out Instrumentation Signpost: Software solution wins award. The PAS-X MSI Plug & Produce Solution from Werum IT Solutions was awarded as “Best Of” at the Industriepreis 2018 in the category “IT & Software Solutions for Industry”. With this award, the jury of experts honors the novelty, product maturity and future-oriented approach of the solution, as well as its economic and technological benefits. The PAS-X MSI Plug & Produce Solution allows the easy and fast integration of machines, equipment and automation systems into the existing production environment of a pharmaceutical or biotechnological manufacturer. 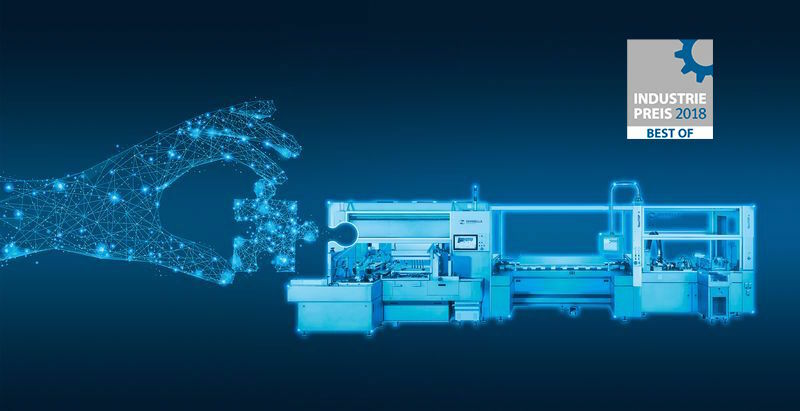 The machines on the shop floor and Werum’s PAS-X Manufacturing Execution System can communicate directly with each other via a new, standardized and message-based interface. This allows to reduce the integration effort for a new machine by up to 75 percent. With the Industriepreis, Initiative Mittelstand and Huber Verlag für Neue Medien, publishers of IT magazines, honor particularly advanced industrial products and solutions in 14 different categories every year. An independent jury of experts consisting of professors, scientists, industry experts and journalists evaluates all submissions. Air Flow Indicator and Alarm. Gas detection systems in China. Vibration reference sources being phased out. Major International Water & Wastewater event!